Also known as the “bearded tooth fungus”, lion’s mane mushrooms are an incredible superfood that is now rising in popularity. 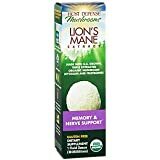 There are quite a few benefits that a person can gain from enjoying this incredible item, so read on to learn more about lion’s mane mushrooms. Known for being an ancient Chinese medicinal mushroom, the lion’s mane mushroom is edible. It comes from the tooth fungus group. Native to China, it can also be found in other parts of Asia, Europe and in North America. You can identify this particular mushroom by its look on hardwoods, the long spines, and how it grows in a clump of several dangling spines which almost resemble a lion’s mane. It also goes by several other names such as the, pom pom mushroom, satyr’s beard or bearded hedgehog mushroom. As previously mentioned, this mushroom is commonly found in China as well as other areas in Asia, North America, and Europe. These are the most common during the fall and late summer season and can be typically found on hardwoods. Lion’s mane mushrooms can be especially found on the American Beech trees. It grows in clumps of dangling spines on trees, growing downwards. Traditionally, lion’s mane mushrooms have been used in ancient Japanese and Chinese medicines throughout centuries. However, it is also a very common medicine in places like India and Korean. It was especially useful in ancient times for treating brain ailments that we know would refer to as neurodegenerative diseases. As a result of this, there are numerous studies going on about the effectiveness of this ancient medicinal mushroom to see its benefits today. 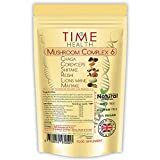 Due to all of these healthy nutrients, there are many excellent benefits that you can receive from consuming this mushroom. There are many different uses of this mushroom. It can be cooked up as food, often a replacement in Chinese dishes as a replacement for lamb or pork. The texture of lion’s mane mushrooms cooked is similar to the same texture that you would find in cooked seafood. It can also be dried and purchased at Asian grocery stores to season stews or other foods. These are the only reported side effects of lion’s mane mushrooms. 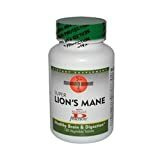 As with any other medicines or supplements, you should absolutely discuss adding lion’s mane to your diet with your doctor.